Claude Monet is one of the foremost painters of the impressionist movement. His efforts to show the motion and color of light are in full force at museums in New York City. 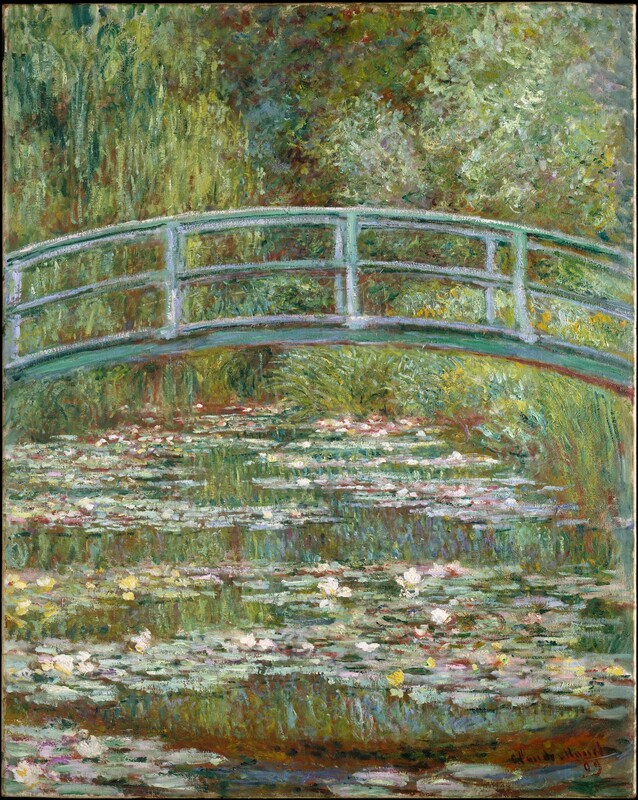 If you want to view works by Monet, you aren't limited to just one of the art museums in NYC. In fact, Monet's work is currently being displayed in four different New York Museums. 30 works of Monet are on display at the met. These include works from when the artist was in his mid-twenties and using the inspiration of Japanese art to embrace the 2d nature of paintings. 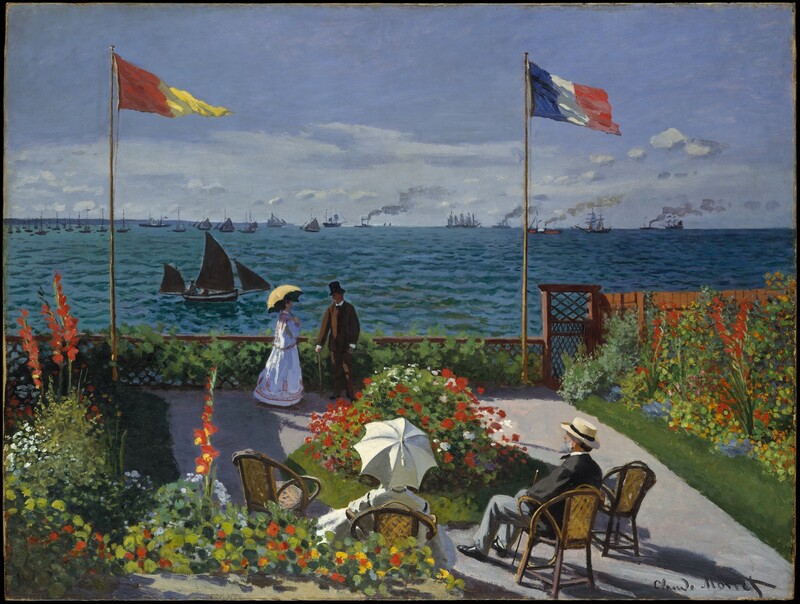 Garden at Sainte-Adresse is an example of this period of Monet's career. As Monet grew older, his landscapes began to show more motion. Vétheuil in Summer was done in 1880. 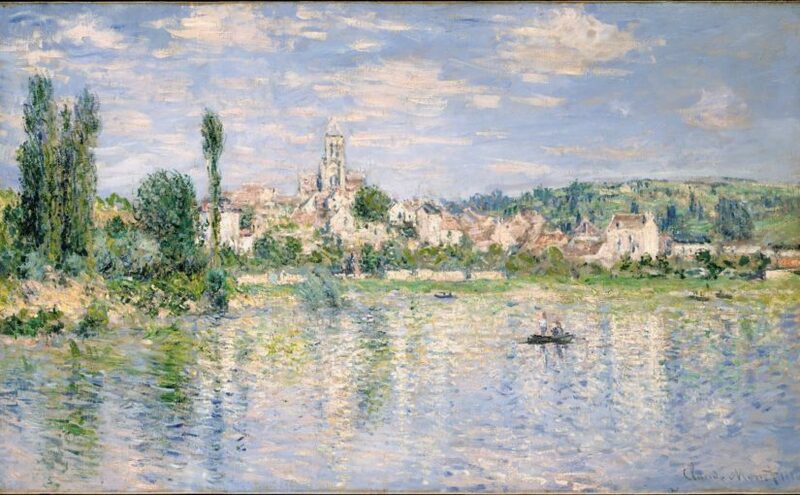 The brushstrokes visible in the Seine help portray the constant changing reflection of light on a body of water. As Monet grew older, he continued his exploration of light by painting the same locations during multiple parts of the day. 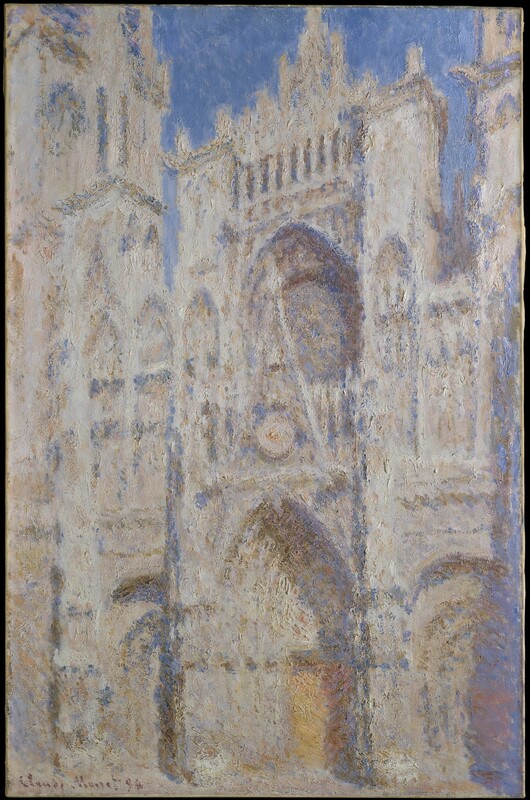 While making Rouen Cathedral: The Portal (Sunlight), he moved from canvas to canvas as the day progressed. More than 30 paintings make up the Rouen Cathedral series. While finishing the Rouen Cathedral series, Monet began putting in a water garden on his property that would serve as the inspiration for some of his best known works. Already in his mid-fifties, the Water Lillies demonstrate how Cataracts affected Monet's Vision with earlier works showing much greater detail, while the later works demonstrate the blurring and color changes he saw as his eyes changed. Overall, the 30 works of Monet currently on view at the Met demonstrate the artist's evolution. 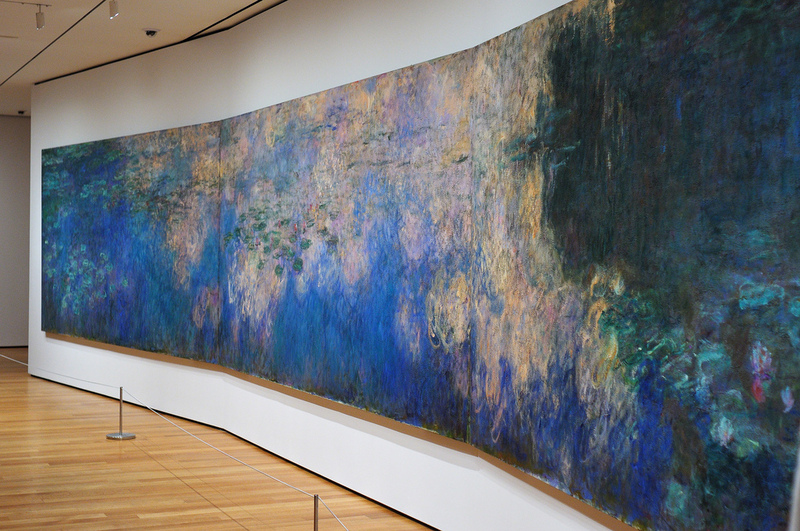 MoMA has a Monet specific gallery featuring 3 works from the Artists later career including a massive 3-panel Water Lilly that is one of the more breathtaking pieces of art in NYC. 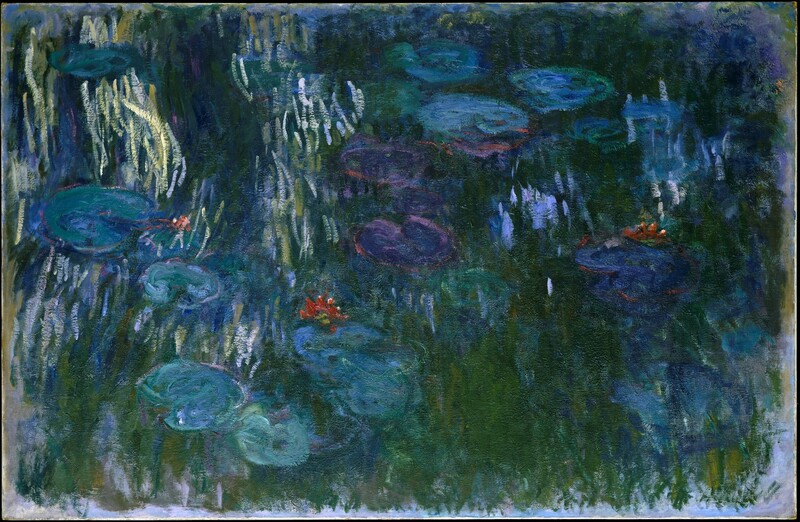 MoMA's collection of Monet's is considerably smaller than the Met's collection, but the massiveness of the Water Lily on display make it a must-see piece of Art. The Guggenheim currently has one Monet on view, a later work during Monet's 1908 trip to Venice while The Brooklyn Museum has The Islets at Port-Villez (Les Iles à Port-Villez), a 1890 piece with circular motions in water that echo Vincent Van Gogh's work. 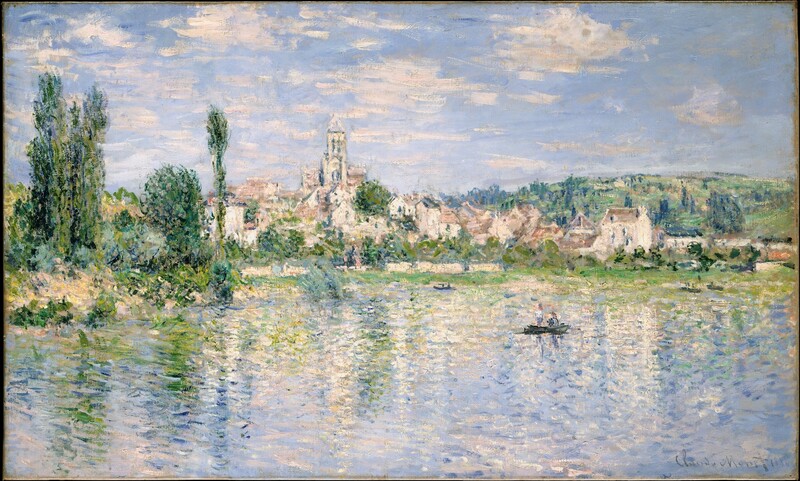 The Brooklyn Museum owns other works by Monet such as one from the Houses of Parliament series, but none are currently on display. Between the breadth of work at The Met, and the monumental Water Lilies at MoMA, you have multiple options for exploring Monet in NYC. There are few better cities for exploring this Impressionist master.